Theoretically, Final Cut Pro/Express recognizes MOV videos. But we know that MOV is only a container of video and audio files. The internal video codec and audio codec might be different. Therefore, due to the differences in video and audio codecs, some MOV videos might not be recognized. In such occasion, you need to convert MOV to FCP on Mac. In this guide, we would like to recommend you 2 different MOV to Final Cut Pro video converter tools to help you convert MOV files to Final Cut Pro files on Mac. Check them below and you will learn what they are. Part 1: Does Final Cut Pro Support MOV? 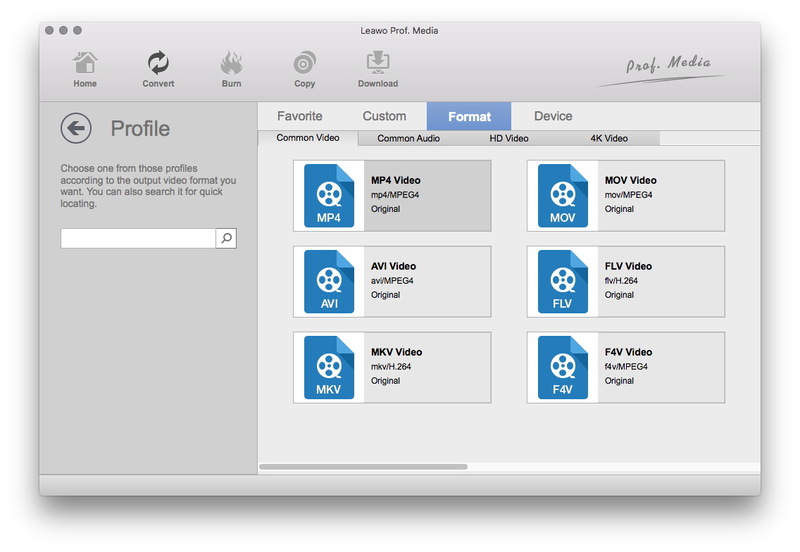 Part 2: How to Import MOV File to Final Cut Pro with Leawo Video Converter? Part 3: How to Convert MOV to Final Cut Pro Video Format Online Free? 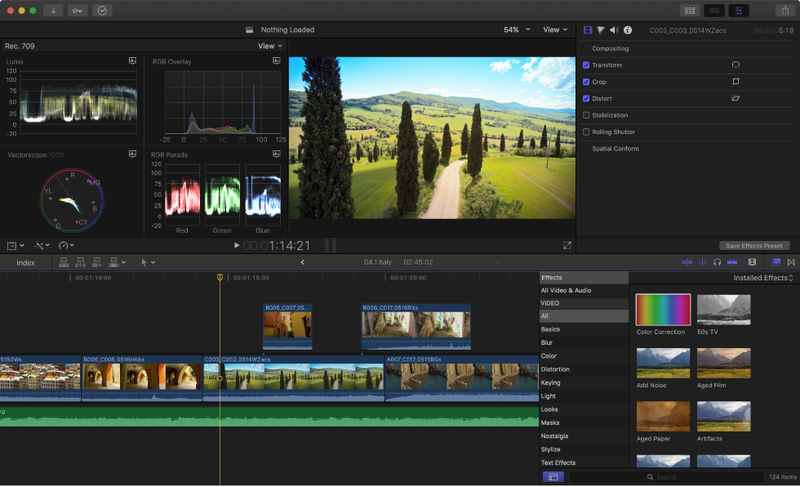 As a revolutionary app for creating, editing, and producing the highest-quality video on Mac computer, Final Cut Pro provides high-performance digital editing and native support for virtually any video format. The program user interface is not difficult to understand and operate. It has been one of the top choices for Mac customers. 1. Edit everything from standard-definition to 6K RED RAW video. 2. Play and skim high-definition media up to 6K resolution and above. 3. The Magnetic Timeline enables you to adjust clips eliminate gaps, collisions, and sync problems. 4. Quickly edit and trim video clips within the inline precision editor. 5. Create compound clips to group any combination of clips, and nest clips within other clips. 6. Add special effects to video, audio, and photos. 7. Automatically edit other elements of your video clips, like color, saturation, etc. 8. Publish your project directly to websites such as YouTube and Facebook, or send your project to iTunes for syncing to iOS devices. From the above table, you may easily learn that files in MOV file container format from QuickTime are actually accepted by Final Cut Pro. However, other MOV files that are not from QuickTime or encoded with other video codecs that are not listed above would be refused by Final Cut Pro. For example, your MOV files are encoded with mpeg codec, therefore you actually need to convert MPEG to Final Cut Pro before you could edit these MOV files in Final Cut Pro. The below content would show you how to convert MOV files to Final Cut Pro compatible files if your MOV files are not recognized by Final Cut Pro. In order to successfully import all kinds of MOV files into Final Cut Pro (FCP incompatible MOV file included), we had better convert MOV to Final Cut Pro more compatible format. There’re various free online converter sites that claim themselves to be good in converting videos for many purposes. But based on my own personal experience, most of them takes so long to complete the conversion task. 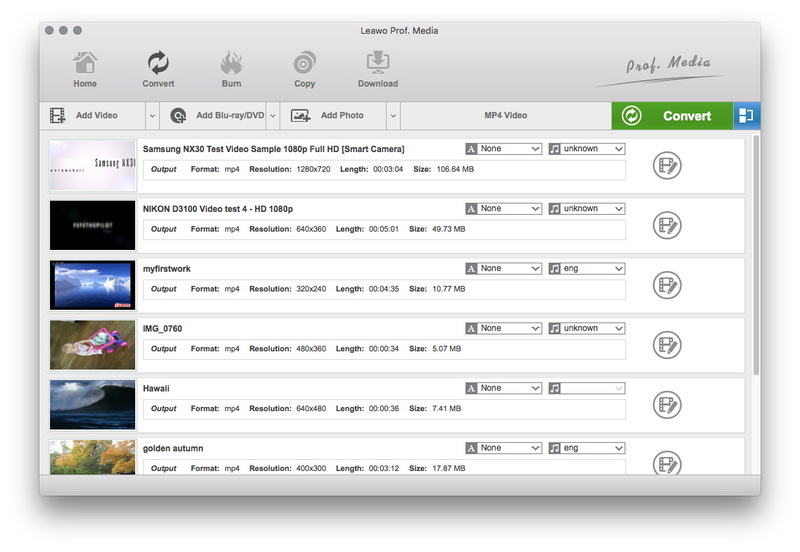 The best solution is to make use of a 3rd-party Mac video converter, such as Leawo Video Converter for Mac, one of the top-rated Mac video converters to convert videos on Mac between multiple video and audio formats like MP4 to MOV, MKV to MOV, AVI, FLV, MPEG, MOV, MP4, M4V, MP3, AAC, etc. This Mac video converter is an expert MOV video converter for Mac users to convert MOV to multiple other formats including MP4, FLV, M4V, AVI, etc. 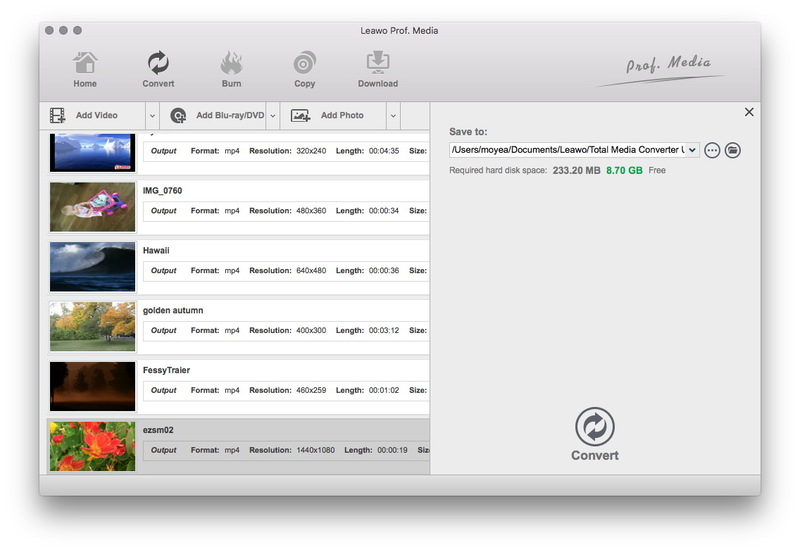 To convert MOV to FCP on Mac, this Mac MOV video converter is what you need. What’s more, it could even act as Mac photo slideshow maker to help you turn your photos into slideshow video in simple clicks. The guide below is a step-by-step tutorial on how to convert MOV to FCP/FCE on Mac by using Leawo Video Converter for Mac. Before we begin the conversion process, we need to download and install this Mac MOV to FCP converter on computer. 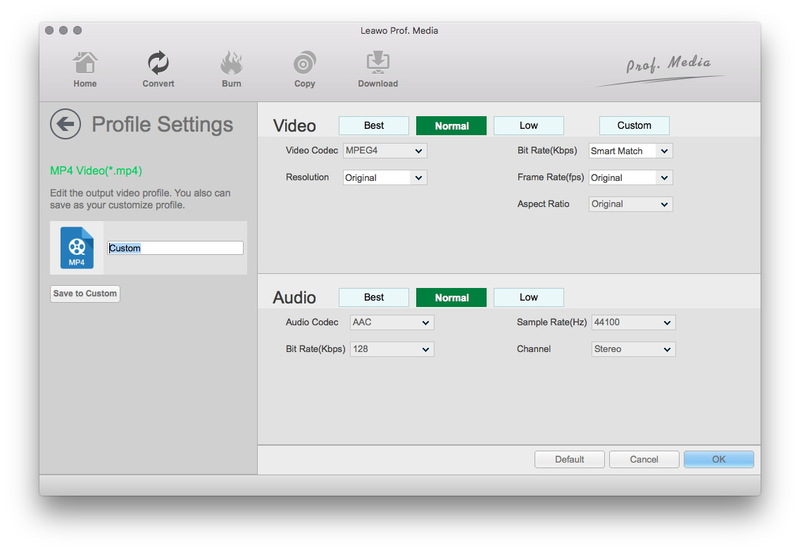 Launch Leawo Video Converter for Mac to enter the main interface. Under the “Convert” module, click the “Add Video” button to browse and choose source MOV files or directlry drag and drop source MOV video files into this MOV to Final Cut Pro converter Mac. After importing source MOV files, click the drop-down box before the big green “Convert” button and then select “Change” option to enter the Profile window for output format setting. As Final Cut Pro recognizes MOV format, you could just select MOV as output format from “Format > Common Video” group. Of course, you need to make sure the video and audio codecs of output MOV files are exactly what FCP could recognize. Optional: Re-open the drop-down box and then select “Edit” option to enter the Profile Settings panel. On the Profile Setting panel, you could freely set video and audio parameters in detail (video codec, bit rate, aspect ratio, quality, frame rate, audio codec, audio quality, audio bit rate, sample rate and channel) to meet Final Cut Pro standard. At last, start to convert MOV to Final Cut Pro on Mac by clicking the bottom “Convert” button on the sidebar. After conversion is finished, you only need to open the output directory and then import MOV file into Final Cut Pro for editing freely. Note: Leawo Video Converter could convert MOV to FCP videos on Windows 7/8/8.1/10/ for Windows users. Some people are wondering if there is any free tool to convert MOV files to Final Cut Pro formats for importing to Final Cut Pro for editing. Actually there are quite few free tools to help Mac users to do this. However, Mac users could turn to online free video converters to do this. Most online video converters are free and available for both Windows and Mac users. Here we would like to take onlinevideoconverter.com for example to show you how to convert MOV to Final Cut Pro files for free online. 1. Visit this website, and then click the middle icon – “CONVERT A VIDEO OR AUDIO FILE”. 2. On the popup video converter page, click the “SELECT OR DROP FILE” button to browse and upload MOV file from your computer for converting. 3. This free online MOV video converter would then upload selected MOV files. 4. Then, choose “.mov” from Video Formats group. 5. After that, click the orange “CONVERT” button to start converting MOV files online. 6. Once the conversion is finished, you will be provided a download link to download the converted DAT file. 7. Click the blue “Download” button to download the final MOV file to your computer. With this free online MOV file converter, you upload MOV files and then get MOV files at last, but the codecs within each MOV files have been changed. The final MOV files would be recognized by your Final Cut Pro now. You could then open Final Cut Pro and import final MOV files for editing. A brief comparison has been made below to let you get more details about these 2 MOV video converter tools. Check them carefully and then make your own choice. Obviously, Leawo Video Converter offers more features than online free video converters. Actually, in our tests, online free video converters often have poor performance in stability and success. Leawo Video Converter is a much better choice.